Established in 1774 as a trading post, Cumberland House is the oldest community in Saskatchewan. This community is the Northern Saskatchewan Administration District's most southern municipality located approximately four hours northeast of Prince Albert, SK. 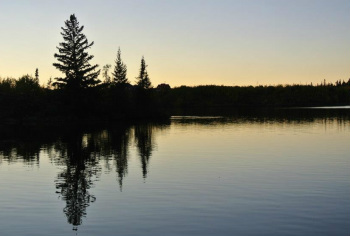 With a population of 671 people, this community, located on the south side of Cumberland Lake, is in a beautiful location close to the Saskatchewan - Manitoba border. Draft Official Community Plan (2017): The Planning for Growth North program has created a draft OCP that members of Council and the Community can provide feedback on any changes they would like to see before a final copy will be prepared for adoption. The OCP also contains Future Land Use Maps. Draft Zoning Bylaw (2017): The Planning for Growth North program has created a draft Zoning Bylaw that members of Council and the Community can provide feedback on any changes they would like to see before a final copy will be prepared for adoption. The Zoning Bylaw also contains Zoning Maps. Flood Mapping (2017): The Northern Village of Cumberland House lies in a very flood prone area, as flood waters have forced people from their homes multiple times in recent years. Determining the high risk areas and building above the Safe Building Elevation will help to protect future buildings from flood waters. Basic Planning Statement (1986): The Village of Cumberland House completed a Basic Planning Statement back in 1986. This document was approved by the Community Planning Branch and outlines the direction of development within the community. The community is interested in participating in the Planning for Growth Program, so as soon as the new Official Community Plan is adopted by leadership and approved by the Community Planning Branch, it will replace this document. Future Land Use Map: As part of the Basic Planning Statement, a map outlining the possible areas of future growth was also developed. Zoning Bylaw (1986): The Village of Cumberland House also adopted a Zoning Bylaw when the Official Community Plan was adopted. The Zoning Bylaw outlines the implementation standards within the municipality. Similar to the Basic Planning Statement, as soon as the new Official Community Plan and Zoning Bylaw is approved by leadership and the Community Planning Branch it will replace this document. Zoning Map: Forming part of the Zoning Bylaw are two Zoning District Maps, separating the community into 10 different zoning areas.